We left off series three with Tommy turning Polly, Arthur, John and Michael in to the authorities; breaking the family up. How are we introduced to Tommy and the family at the beginning of series four? At the beginning of series four, the family are fractured. Tommy is isolated, understandably after what went down at the end of series three. 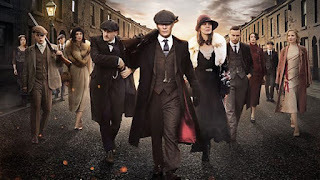 Time has lapsed and they’re all getting on with their lives but not in the way that we normally associate with the Peaky Blinders. All of them get a letter with a Black-Hand, which is a mark of warning from the Italian mafia, which basically means they’re coming to get the family. What are Tommy's challenges this series? Most pressing is the fact that the whole family are going to get annihilated if they don’t come together. In order for them to survive they need to retreat back to Small Heath. Tommy’s plan is to get the family back to the mean streets of Birmingham in order to protect them and close ranks. That’s the practical way of dealing with the situation. Emotionally, the family have to try and put the recent past behind them and find a way of reconnecting, particularly with what has happened between Tommy and Polly. Who is Luca Changretta and what does he represent for the Shelbys? 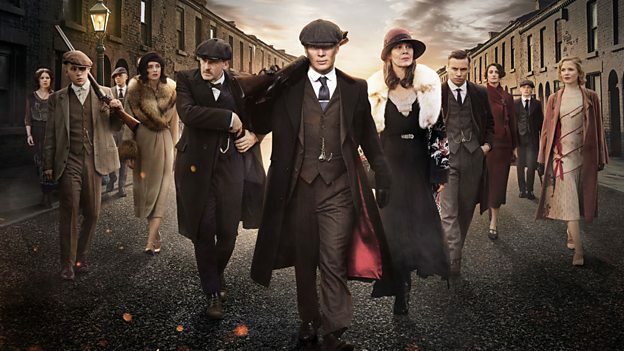 The Peaky Blinders are in a position now where they’re the top gang in the UK at this time. Tommy and the family are met this series with a serious threat to their existence. This threat initiated by the arrival of a Black-Hand is terrifying. This warning means the mafia will come after you and they will not stop until they have tracked you down and killed you. Luca Changretta represents Tommy’s arch nemesis for this year. You know that there will be a head-to-head show down by the end of the series, which is inevitable. It’s just whether or not the Peaky Blinders can survive until then. How is Tommy and Polly’s relationship tested this year? Tommy, for all intents and purposes, betrayed his family at the end of series three. Unbeknownst to his family it was more of a tactical move for Tommy that needed to happen as part of his master plan. They’re all dealing with it in their own way and the family is all split up when we start the series. For Polly, it hits her badly. This confrontation that she has with death, (amazingly played by Helen McCrory) affects her tremendously. She has been through a lot. Having lost and found her son Michael, then lost her daughter and her husband, Polly is now having to deal with being lead to the gallows halted by a last minute reprieve from death. She’s dealing with it in quite an extreme way. She holds Tommy responsible for putting her in that position. Polly is still the only person that Tommy trusts completely in the family but at this point all the trust has been broken and has to be rebuilt. This happens over the course of the series. It’s wonderful to play opposite Helen as always in these scenes. Has Tommy met his match in Luca Changretta? Is there a mutual respect between them? Luca comes and finds Tommy in his factory and they have an encounter. There could be a physical confrontation but there isn’t because they operate within this ‘code’. That’s as far as the respect goes. Tommy looks at Luca as a problem that needs to be fixed. The respect only extends to the rules of the engagement otherwise he’d happily kill him in cold blood. I think somewhere deep down, Tommy feels guilty about all of this because he put the wheels in motion for this vendetta to happen. Although, he’d never say it was his fault. Tommy brings in Aberama and Bonnie Gold to add a bit of muscle to the Peaky ranks. Does Tommy fully trust them or are they just necessary to ensure the family’s survival? I don’t think Tommy fully trusts anyone except for perhaps Polly. He thinks that they’re useful in a contractual way. Clearly, Aberama Gold (played by Aidan Gillen) is a man of substance who can handle himself physically. He knows how to deal with conflict in a very different way, using gypsy methods. He’s a man who can appear and disappear quickly which Tommy is drawn to. All the way through the show there’s a real level of tension between both men. You realise quite quickly that they’re both using each other for personal gain. What does Tommy see in Bonnie Gold? Tommy is genuinely impressed by Bonnie, (played by Jack Rowan), because he is a seriously talented boxer. Tommy has an agenda for everything and he sees a bit of himself in Bonnie. 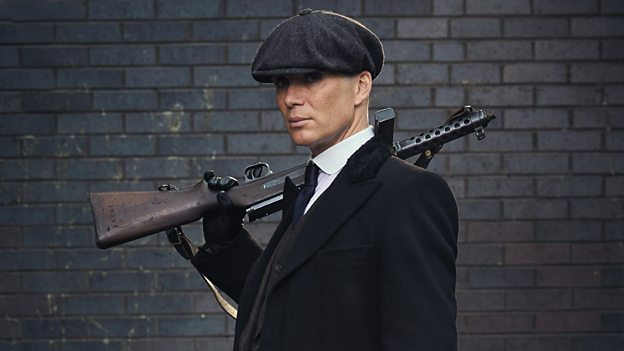 Maybe with some training he could fill the shoes of a Peaky Blinder? Has Tommy and Lizzie’s relationship developed this year? All the way through series one to four, Tommy has gradually leant on Lizzie emotionally, particularly after the death of Grace. Being Tommy, monogamy is not something he’s familiar with but in terms of a companion, Lizzie is the one whom he’s closest to. He reveals things to her that he doesn’t reveal to anyone else but at times he can be really cutting and cold toward her. I feel that as the series continues their relationship develops into something very interesting. Natasha O’Keeffe is so brilliant as Lizzie because she gives the character such dignity for a woman who has come from not the best upbringing and lifestyle. Charlotte Riley returns as May Carleton. What does this mean to Tommy? He chose Grace over her so what does he want from her this time? Since the death of Grace, Tommy has reverted to his old patterns of behaviour with women. He tries to add May to that but she doesn’t allow it. It becomes this platonic, business relationship again. I think Tommy really admires that and without knowing it becomes this pro-feminist. He looks at who’s the best person for the job, regardless of their gender. May’s a very shrewd woman and he likes her company. He’d probably like it to be a romantic thing but if that’s not going to happen, then he likes having her around. I think she feels the same about him. As a business couple, they would be unstoppable. May’s not the sort of woman who would accept Tommy’s polygamist vibe. Charlotte Riley always plays her with such intelligence and grace. What does it mean for Tommy to have Ada back on his side? Was he always confident she would return to the fold? 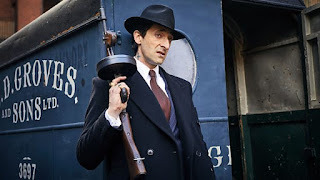 Ada’s taken this circuitous route which has brought her back to the family, having gone the whole socialist-revolutionist way and has now come back to the capitalist-gangster philosophy. Tommy’s watched that happen and approves of it. They’re much closer this year and he relies on her more. I think Ada has matured a lot. I think one of the overarching themes of Peaky Blinders is to accept who you are. Ada’s certainly realising that. How has Tommy expanded Shelby Company since we last saw? It’s got even bigger. Tommy has two factories and lots of people working for him. He is in the classic gangster narrative, heading towards that 100% legitimate business-side of the empire. The backdrop to it is the general strike and Tommy as a capitalist resists that as best he can. The movement and what it actually means for him and the business also intrigue him. With the general strike underway, how does Jessie Eden factor into Tommy’s bigger plans? Jessie Eden (played by Charlie Murphy) is representative of what is happening socially and politically at that time in Britain. She gets a mention in series three when the women talk about going to see her at one of her rallies. Tommy is dismissive but curious of her at first but then he meets her and is really impressed at how articulate and clever she is. Again, Tommy considers how to take advantage of that for his own gain. She was a real life historical figure. My instinct is that their paths will remain intertwined for the next series in the struggle between the establishment and capitalism and socialism and idealism and revolution, which was so potent at the time. It’s fascinating to see how Jessie gets entangled with Tommy and how they both deal with her political beliefs. What can we expect to see unfold between Tommy and his old rival Alfie Solomons? Tommy has never trusted Alfie Solomons but again he sees some sort of reflection of himself in Alfie and vice versa. He’s such a wonderful character and Tom Hardy plays him so gloriously. This series will see Alfie and Tommy battle it out (metaphorically speaking) in the boxing ring via their two boxing protégées, Goliath and Bonnie Gold.